Do you have dirty tiles and grout that your at home products can’t clean? Dazzle is here to help! We offer high quality Vancouver tile & grout cleaning for all tile, grout and hard surfaces! Hundreds of happy customers have used Dazzle tile & grout cleaning services to tackle old and unhealthy surfaces, turning them from old to new. As with all of Dazzle’s services – taxes are included in all pricing and all customers receive a free stain removal product. Give us a call today! Use this form to give us a few details about your job and we will get right back to you with a free quote and estimate. Slide to see before and after. When you order our Vancouver Tile and Grout Cleaning services, you will be receiving a combination of the best results and service available in Vancouver and the lower mainland. Our technician will educate you on the best practices to keep your tile and grout clean, which in turn will keep you and your loved ones healthy and happy. Dazzle serves Vancouver and all surrounding cities: Burnaby, Coquitlam. Delta, Langley, Maple Ridge, New West, North Van, West Van, Richmond, Poco, Surrey, West Van and more. Similar to carpets, your tile and grout needs professional care. The reason professional cleaners are needed is because professional cleaning restores the look of tile and grout back to its natural state. At home products can help but can not match the results of Dazzle professional tile cleaning. 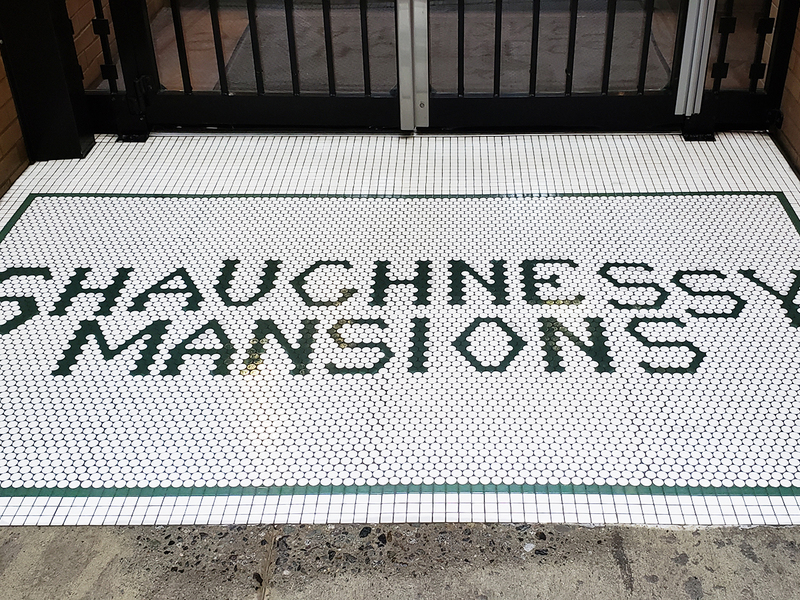 Our friendly and knowledgeable technicians will clean your tile and grout thoroughly. 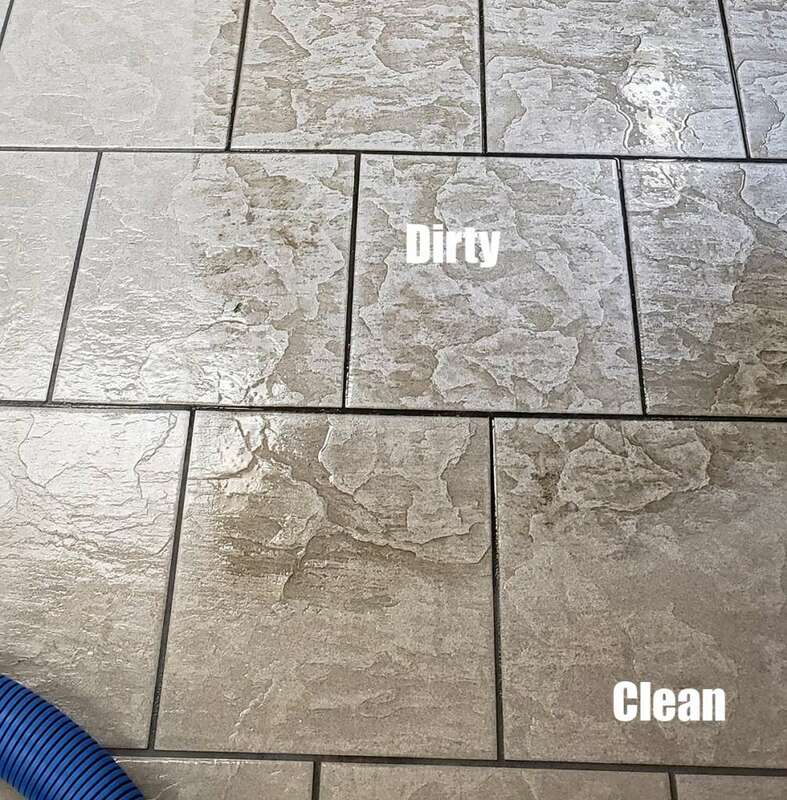 Our customers can not believe how new and fresh their tile looks and thank us for saving them money from cleaning instead of replacing the tiles. You don’t have to worry about your family getting sick with bacteria build up and at the same time: will have your tile and grout in the best shape possible that will extend the life and look for years to come. Cleaning your tile and grout saves you money instead of expensive replacements. If you are selling your house or wanting your security deposit back during moves, tile cleaning is essential to get the highest price and is a huge return on investment. Bacteria and fungus grows on tile and grout. A professional clean is needed to eradicate these germs and to ensure your home or business is clean and healthy. 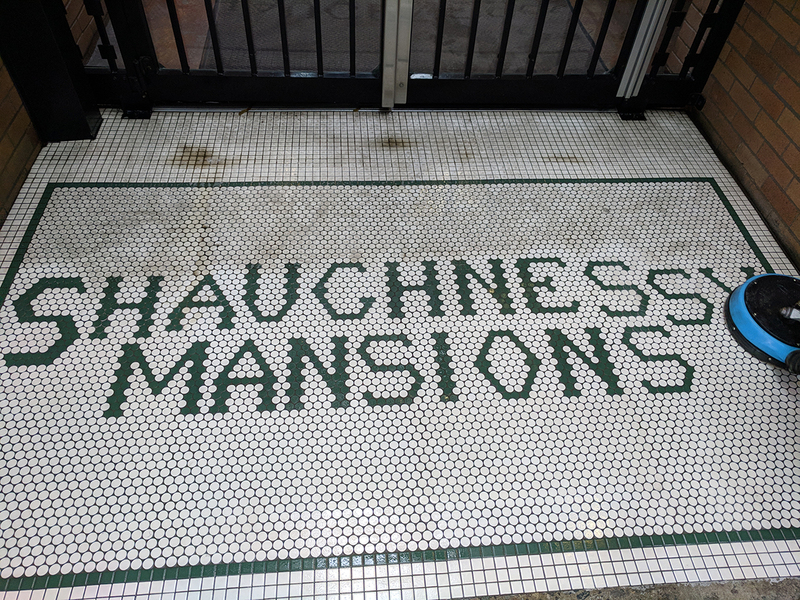 Look at this picture to see how the tiles look brand new compared to before. Our trained technicians will inspect your tiles and floor to determine the best possible treatment process. 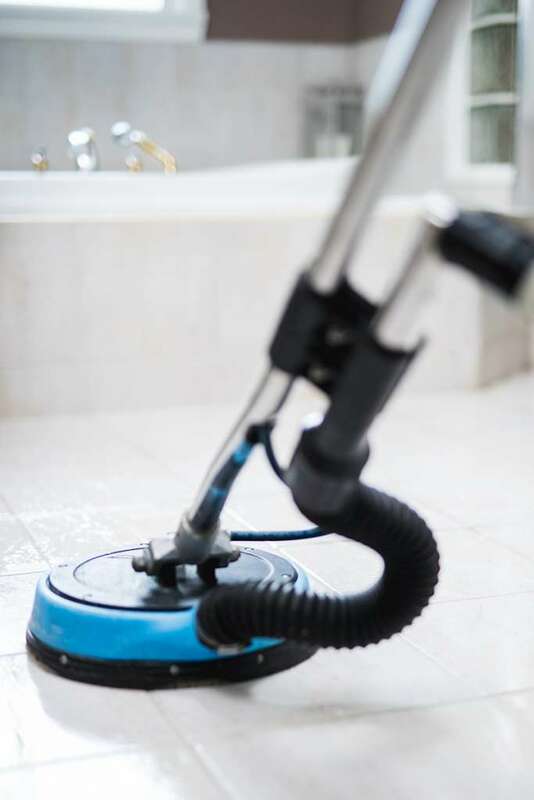 After our initial examination we apply specialized cleaning solutions and powerful suction equipment to remove the dirt and grime from the grout that will provide new shine and life to your tiles and grout. 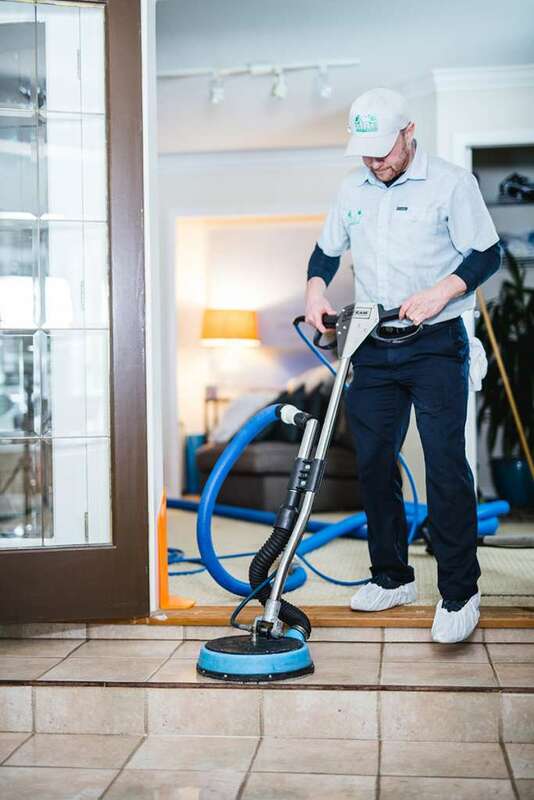 We always use eco-friendly cleaning solutions that are safe for family and pets. Our tile and grout cleaning process will leave your tiles shining, healthy and new, extending their life saving you money over time! Our promise is to provide the best possible service with our 5 step cleaning process, combined with friendly and knowledgeable technicians that leave you and your tiles happy. We know you want the exact costs and we want to be as transparent as possible with you. Dazzle never upsell’s as we want to build a great relationship with you. No pushy sales tactics. Tile & grout cleaning costs can greatly vary based on how dirty the situation is. The dirtier the tile, the longer it takes to clean per square foot. This is why we can’t give an exact price until we see the exact job at hand. To help with this, we offer completely free estimates and quotes with no obligations. We also offer a satisfaction guarantee, if you are not happy with the job you get your money back. We are confident in our service and results and that is how we can offer such a great guarantee. As a very base idea – tile and grout cleaning starts at $1.25 per sq/ft and can go as high as $2 per sq/ft for extremely dirty jobs. Please give us a call or use our form to contact us to get started with a free quote and estimate, or to ask us any questions about your job.